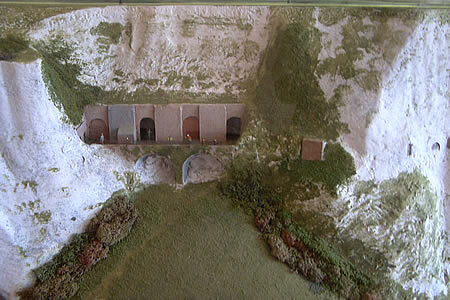 The evacuation of British, French and Belgian soldiers from Dunkirk (in Northern France) in 1940 was planned from a secret command centre inside tunnels in the cliffs at Dover. This action - known as Operation Dynamo - rescued 338,000 soldiers. If these soldiers had been killed or captured by the German soldiers, it could have changed the outcome of the Second World War. 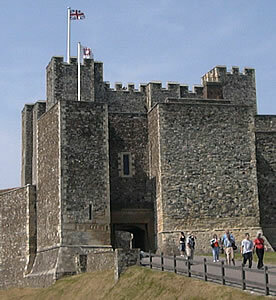 Visitors to Dover Castle can visit the secret wartime tunnels, where an audio guide (in English only) brings to life what it was like there during World War Two. 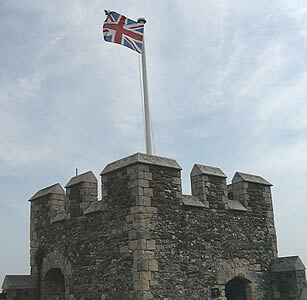 Dover is an important port town. In particular, there is a frequent ferry service from here to Calais in northern France: the crossing takes about 1 hour 15 minutes. 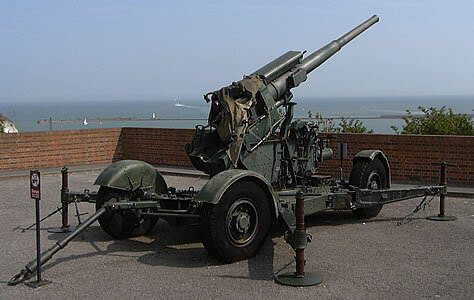 On a clear day it is possible to see Calais from Dover. 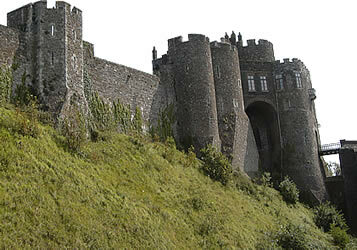 - On fast train services, trains to Dover Priory station from London take about 1 hour 50 minutes. You can travel either from Victoria station or from Charing Cross (services are usually about every 30 minutes). For train timetables and to buy a ticket online, see: Shop/Company/TheTrainline. During the morning and afternoon there is a bus service every 20 minutes to take you from the station to the ferry port (there is a small charge). You need to arrive at the passenger terminal at least 30 minutes before your ferry leaves. 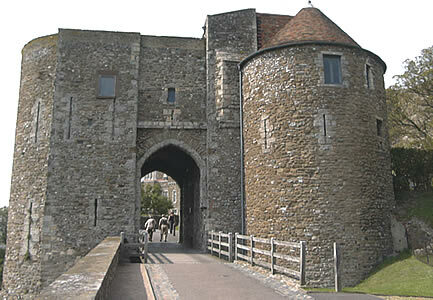 - It takes about 2 hours 30 minutes to travel by coach from Victoria Coach Station in London to Dover (some services will take you directly to the ferry port or hoverport). For timetables and to buy a ticket online, see: Shop/Company/NationalExpress. 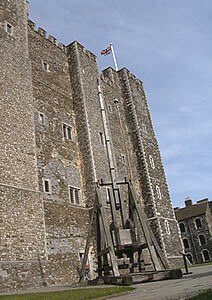 It is also possible to buy coach tickets from London to destinations in Europe. See: Shop/Company/Eurolines. 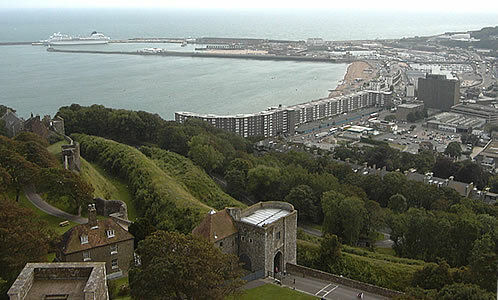 Note that foot passengers cannot board ferries at Dover between 8:30pm and 6am each day. 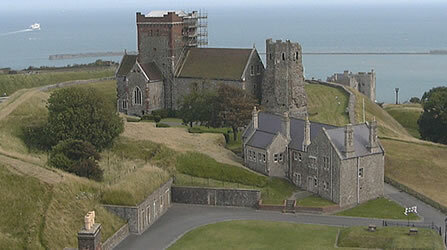 "Impregnable Dover Castle is one of the most impressive in Britain, a mighty fortress commanding a superb view of the Channel and the town below ... 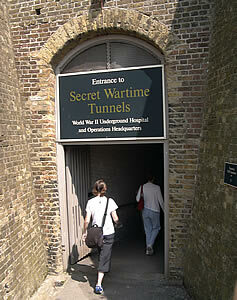 Although the keep and its audiovisual display is mightily impressive, it is the series of secret wartime tunnels dug under the castle that are the most interesting attraction here"